Pantry pests such as flour beetles and rice weevils invade homes and businesses on a regular basis. They seek the food inside pantries, such as wheat flour, rice and cereal. They infest food-storage areas and chew through boxed goods to reach the inner contents. These pests, including the Indian meal moth, will then lay their eggs in cracks and crevices of the pantry and increase their population. Pests can easily get into your pantry through small cracks and crevices around the door. Attaching a rubber door bottom will prevent the pests from sneaking under the door and gaining access to the food in the pantry. You can also seal the cracks and other openings with silicone to create an impenetrable barrier. Opened goods attract pantry pests by the dozens, including other pests such as roaches and rodents. If you have opened boxes or bags, place them in the refrigerator to keep the contents fresh. If they're out of date, toss them in the trash to prevent pest infestations and foul odors from lingering in the pantry and dining area. Moving the contents from boxed and bagged goods to plastic containers is a good idea. If pests invade your pantry, they can chew through the boxes and bags and contaminate your food. However, transferring the goods to sealed plastic containers keeps the bugs out and the freshness in. You can also stack the containers and have a more organized pantry. Flour, rice, potato flakes and other goods will be safer and last longer in the plastic containers, sending rodents and other invasive pests elsewhere to look for food. Finding insects in your pantry can come as quite a shock, especially if you pour cereal into a bowl only to find tiny beetles among the flakes. Securing the pantry and transferring goods to sealed containers will help to prevent a nasty infestation. 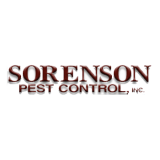 Contact Sorenson Pest Control and let our team help eliminate any current pest problems and use preventative solutions to keep pesky insects out of your pantry.